No legitimate investment strategy can guarantee a return, but BrickOp's approach places you in the best position possible to earn an income from your real estate investment. We offer turn-key properties in neighborhoods selected for marketability and appreciation potential. Our experienced, professional management partners minimize the risks associated with real estate investment, which include extended vacancies, unexpected repairs, lease contracts, and "problem" tenants. 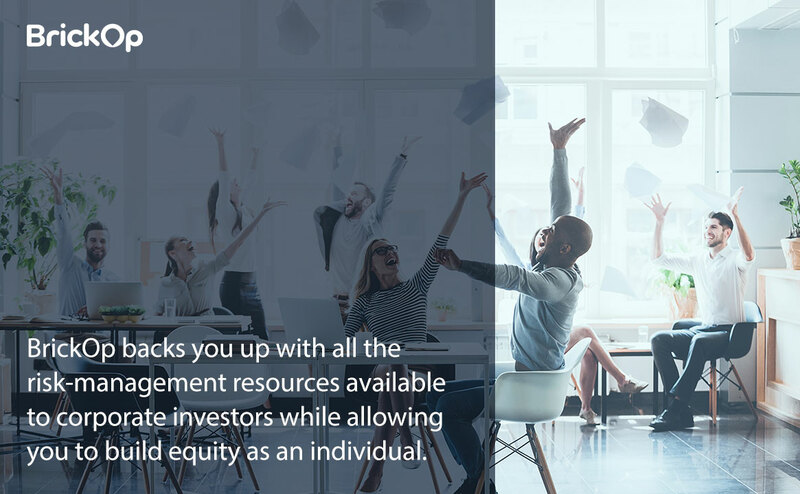 BrickOp backs you up with all the risk-management resources available to corporate investors while allowing you to build equity as an individual. Real estate investment isn't passive when you're forced to take time away from your family and career (often without notice) to address emergency repairs and tenant care. Independent landlords rarely take into account the value of their own invested time and labor with no guarantee of saving money by going the DIY route—especially when there's a steep learning curve. 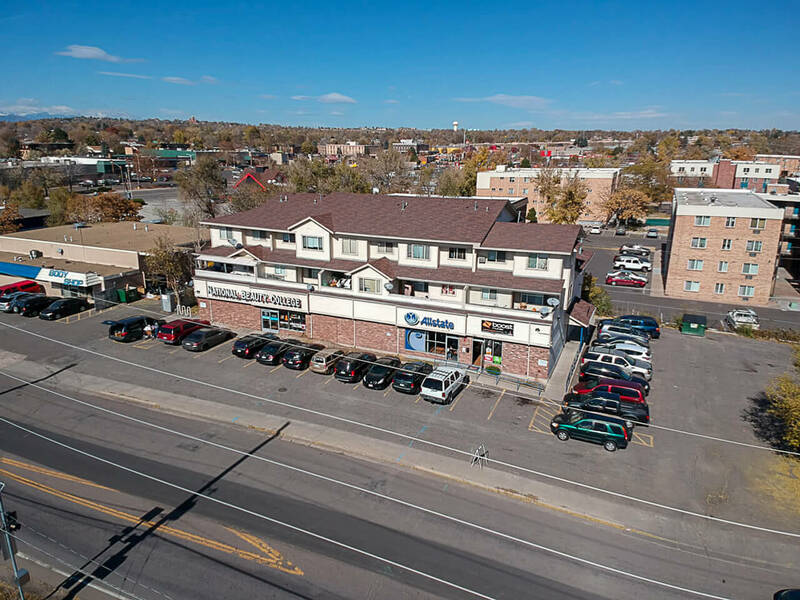 Our property management partners offer you unmatched expertise and service at highly-competitive rates; this investment alone will pay off many times over in terms of convenience, efficiency, and protection from liability. When you purchase a renovated, well-maintained property that's already occupied by responsible tenants, you can skip the months of marketing, updating, showing, and tenant screening. You begin generating income right away because we've done the hard work for you. Otherwise, you could be losing thousands of dollars for every month the property remains vacant. That's money that should be going toward building equity or saving for future upgrades. Skilled property managers help keep your unit occupied through responsive customer care. Should your tenants move on, your representative will conduct in-depth background checks and interviews to find the ideal replacement while maintaining compliance with fair housing legislation and regulations. Tenant selection and professional service is essential to reducing turnover, one of the biggest risks associated with rental property investing. You can be proud of your investment, and your role as a landlord. BrickOp model allows us to contract with the most reputable and best-skilled maintenance and repair professionals, passing down our savings to you. This also means faster response and completion times, and happy, loyal tenants. Our property management partners collect rents and deposits, handle insurance, mortgage, and applicable utility payments, and deposit the remaining balance to your bank account. They're fluent in tax codes as they apply to real estate income, helping you take advantage of write-offs and incentives. When a tenant moves out, your property manager will handle deposit refunds upon your approval. While you're responsible for any repairs or cleaning not covered by a tenant's deposit, your management professional will step in and handle scheduling, oversight, and documentation for your own records and those required by insurance or legal claims. Customized, detailed contracts insulate you from the loopholes that can cause nightmares for unprepared, unrepresented landlords. Should the terms of a contract require enforcement or termination, your property management agent will adhere to all local, state, and federal legislation when representing your interests. Our available properties meet or exceed building and occupancy codes, and we perform a rigorous scheduled maintenance program, further protect you and your investment from exposure to liability claims. Real estate has its volatile moments, but over time, property ownership is an excellent way to let your money grow and build equity. The BrickOp model analyzes market data to select properties with the best potential, and eliminates many of the management pitfalls that detract from your bottom line. Our approach helps shape communities within your unit's building that foster stable occupancy rates. No real estate investment program can predict the future, but we can track our past success: BrickOp investors' units, when rented out for a period of eight or more years prior to resale, earn an average ROI of 95%. If you're serious about purchasing real estate to generate passive income, these insights will help you in the decision-making process. Should you find our investment model favorable to "going it alone"—or if you'd like to learn more about BrickOp—give us a call! We're happy to answer your questions and tell you about our current and upcoming real estate investment opportunities.